Very few events in life can be as challenging and emotionally tasking as going through a divorce. The choices that you end up making during this crucial period in your life can affect not only you but also your loved ones for years to come. 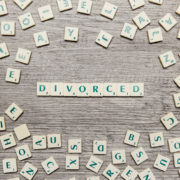 Even with the most amicable of divorces you will need a skilled and knowledgeable lawyer to make sure that your interests are best represented, and that you complete the process with the best result for your personal, family, and financial future. 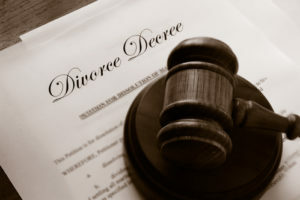 Our experienced divorce attorneys in Idaho Falls at Nalder Blake Law Office understand how stressful this time can be for our client. 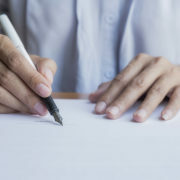 We therefore strive to absorb the stress of the process and protect your interests every step of the way, by helping you navigate your personal and financial issues through the legal system with our professional but also compassionate representation. Our team will make sure your case is handled efficiently, so that the next chapter of your life can start as soon as possible. G. Lance Nalder, who graduated with honors from law school at the University of Idaho, has been working in the field of family law for over two decades, successfully leading numerous divorce cases during that time. As one of the National Trial Lawyer’s Association Top 100 Trial Lawyers for five consecutive years, Nalder will make sure that one of the most difficult events in your life is handled with knowledge, care, and attention. Lane A. Blake, an active member of the American Bar Association and the Idaho State Bar Association, has been practicing in family law for years, successfully handling divorce cases to the utmost satisfaction of his clients. Whether you believe your situation can be resolved through mediation or negotiation, or if you are convinced that court will be necessary, Nalder & Blake Law Office’s divorce attorneys in Idaho Falls will be there for you every step of the way.